TORONTO -- Groups opposed to the burial of nuclear waste near Lake Huron are calling on the federal government to kill a proposal for an underground storage bunker rather than ask for more information on the project. "It is unfortunate that the government is not listening to what the people and Great Lakes communities are telling them: to reject this plan," said Beverly Fernandez with Stop the Great Lakes Nuclear Dump. "No matter what process is followed, burying and abandoning radioactive nuclear waste in the Great Lakes Basin will always be a bad idea." A review panel last May had given the go-ahead, but a decision rests with the McKenna. "The minister has requested that the proponent, Ontario Power Generation, provide additional information on three aspects of the environmental assessment: alternate locations for the project, cumulative environmental effects of the project, and an updated list of mitigation commitments for each identified adverse effect," the notice reads. "The minister's request for information from the proponent has paused the timeline for an environmental assessment decision to be issued." A decision had been expected in September, but the former Conservative government extended the deadline to March 1 to allow for last fall's federal election. 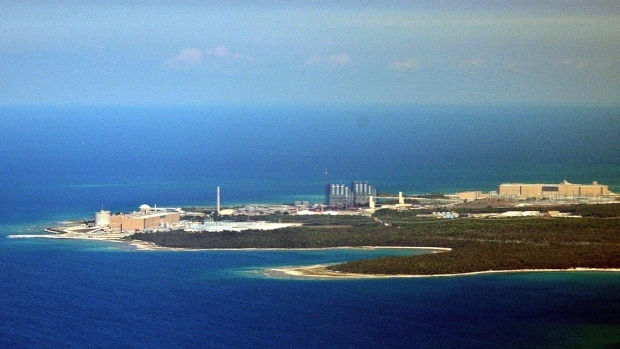 However, almost 200 communities and environmental groups have argued that such a facility, despite OPG's arguments, would be too risky given the proximity to Lake Huron. Any contamination, they say, could threaten drinking water for millions of people.